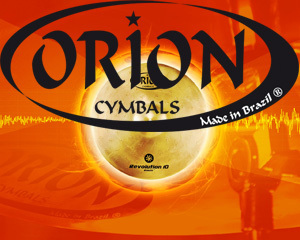 Orion Cymbals was founded in 1999, by Multialloy Metais e Ligas Especiais Ltda., with the purpose of being a leader within this segment of instruments in Brazil and setting up among the big international market brands. It represents not only the high quality of Brazilian musical instruments, but also the ceaseless creativity of its population. Its products line provides the highest quality for both the beginning musician and the most demanding professional musician. Strongly based in the commitment with the quality excellence and creativity, Orion Cymbals is the cymbal brand that exceeds all limits.